Keeping your pet wormed on a regular basis is an essential part of a sound preventative care regime, keeping your pet parasite free will greatly reduce any potential threats to your pet, you and your children. The truth is that our pets are so integrated into our everyday family life that our thoughts hardly ever turn to the fact that they could be harbouring possible very harmful parasites. The possible risk to you and your children, however small, can not be taken lightly. 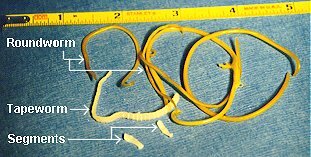 A type of Tapeworm (Echinococcus granulosus) and the Roundworm (Toxocara species) can potentially cause problems in humans, if the latter is passed to your child – who is more susceptible than most to infection – can in the most severe of cases cause blindness. Click on the image below to enlarge the slideshow. 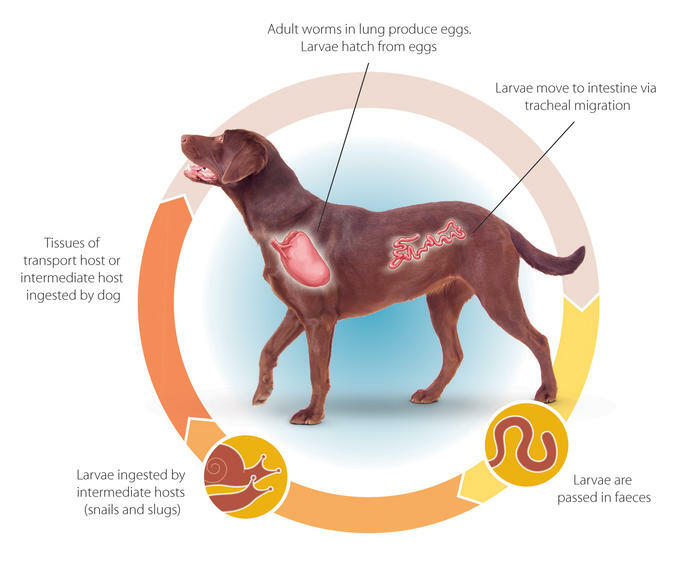 Another parasitic infection that is becoming more prevalent among our dog population is Lungworm. 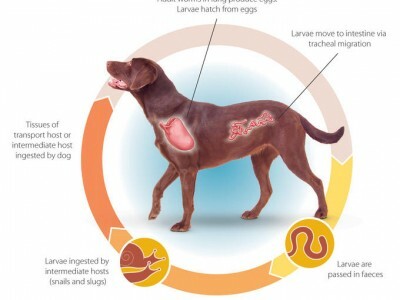 The lungworm parasite can be passed to the dog by the dog purposely or accidentally eating an infected slug or snail. The signs of lungworm is not always obvious and if left untreated can be fatal. Below are a few of the visible signs of a potential lungworm infection. As you can see sound worming and flea control is even more important now than ever before. This is why at Vale Vets we use Advocate as our first line of defence in parasitic control – It gives your pet the best flea and parasitic control available.